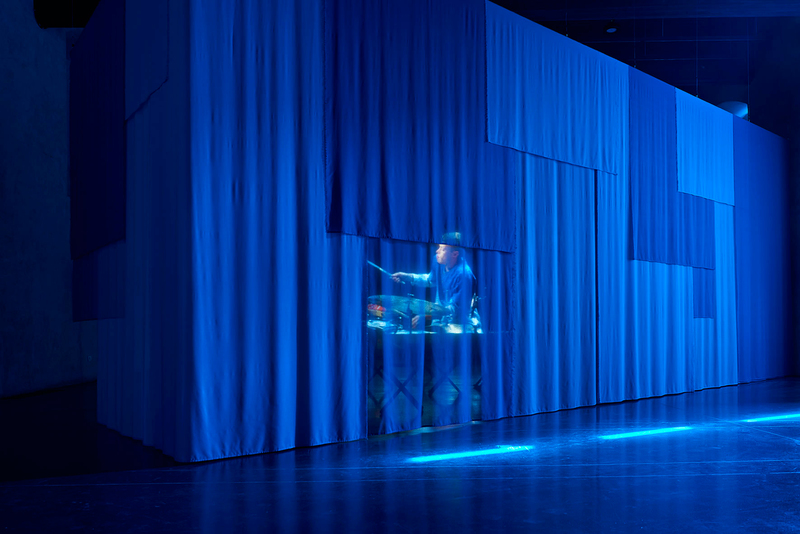 Blue is the chromatic, historical and discursive filter through which a "spoken word" performance by African-American poet Kain unfolds. The precursor of hip-hop in the late ’60s delivers his radical poem as the Belgian percussionist Lander Gyselinck improvises to the flow of his utterances. 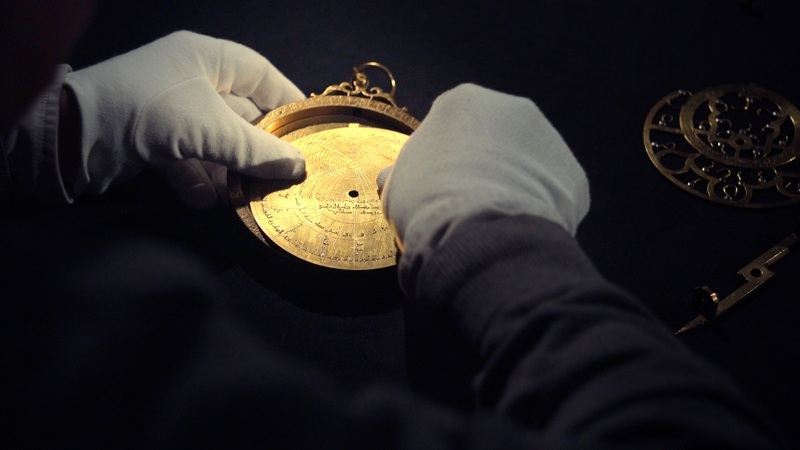 Throughout the performance various museum objects — funeral figurines, automaton, astrolabe, mappa mundi, textiles —are juxtaposed to Kain’s own props. They invoke affective retrospections on exile and belonging, slave routes and colonial trade. 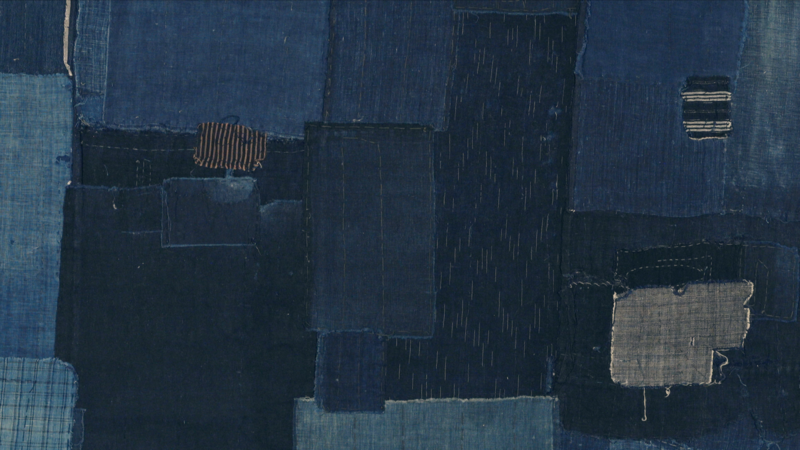 Ultramarine, refering to a deep blue pigment but also to overseas regions, is a visual poem constructed from locally chosen historical objects. 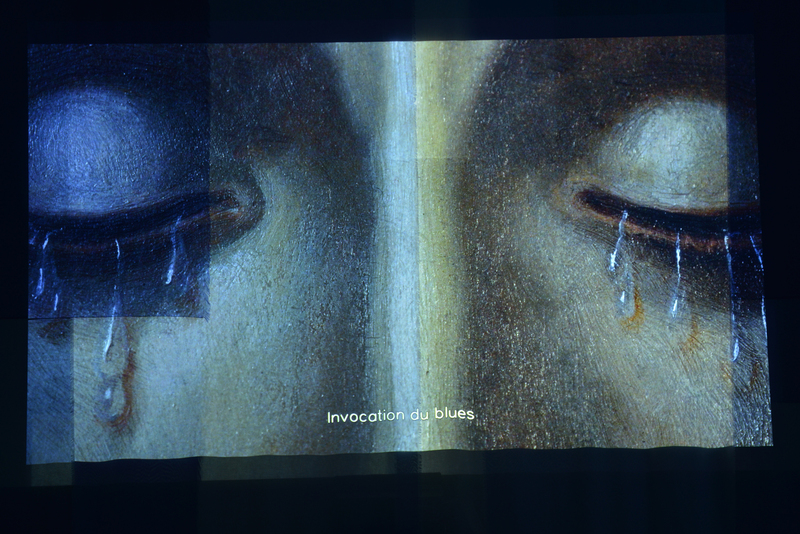 The film has been commissioned by the Printemps de septembre in Toulouse (France), a city historically connected both to 'pastel' blue pigment and to the 'Gay Science' of the troubadours. 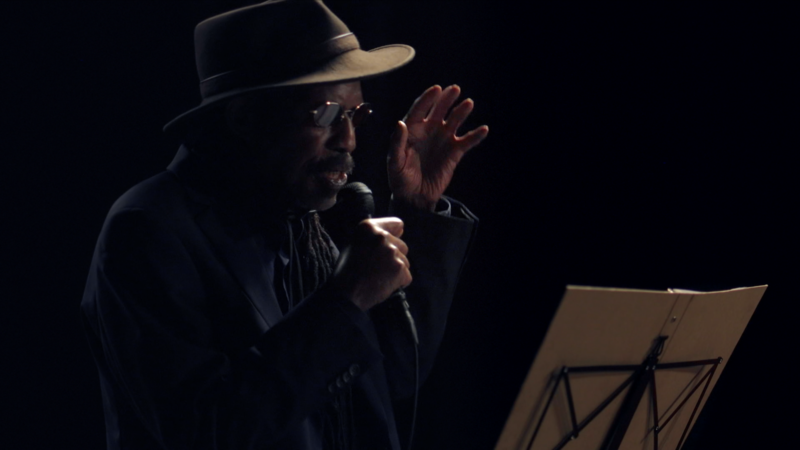 The film is conceived as a kind of «narrated exhibition» featuring Kain The Poet – the Afro-American poet and performer, part of the Black Arts Movement (BAM) at the end of the sixties and creator of the mythic 1970 album Blue Guerilla. 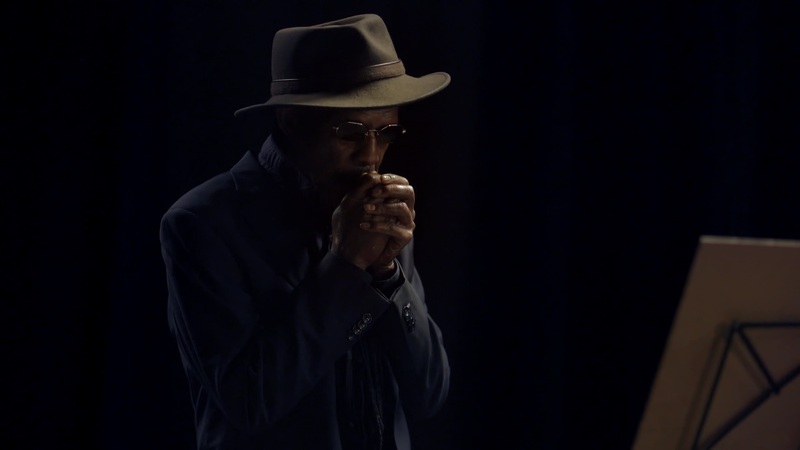 He colors history through spoken word, alluding to his own exile blues in Amsterdam. 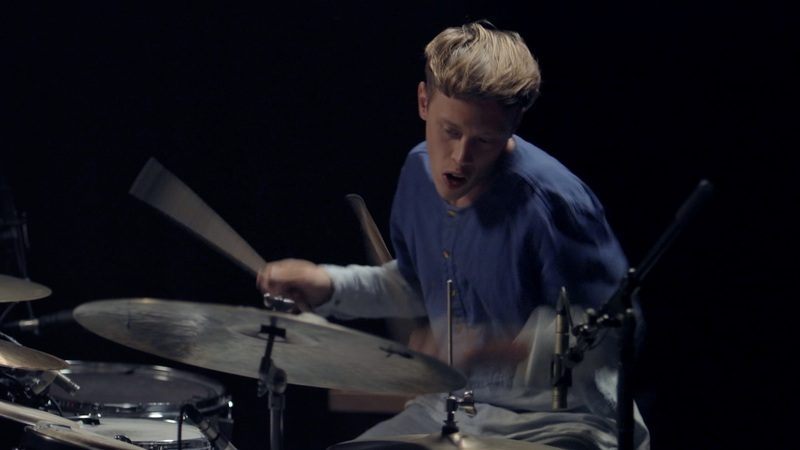 The music is improvised by drummer Lander Gyselinck. 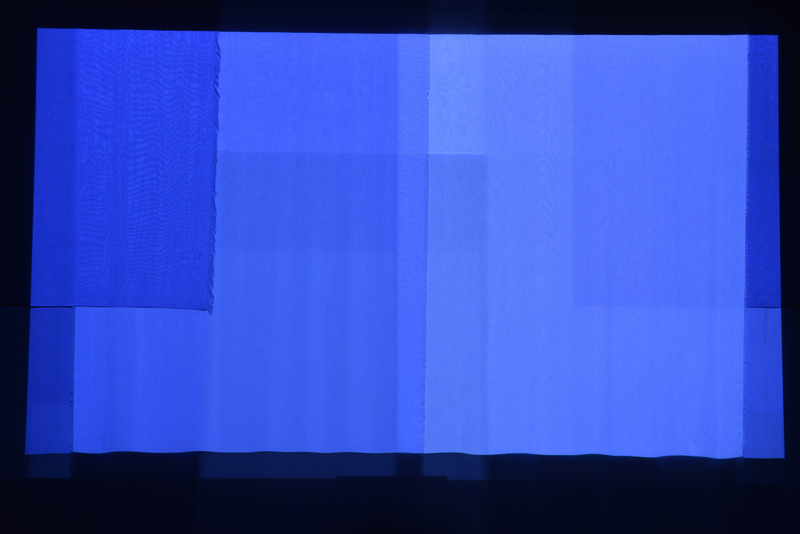 Ultramarine is composed like a spectrum: it unfolds and intertwines fragments of meaning. 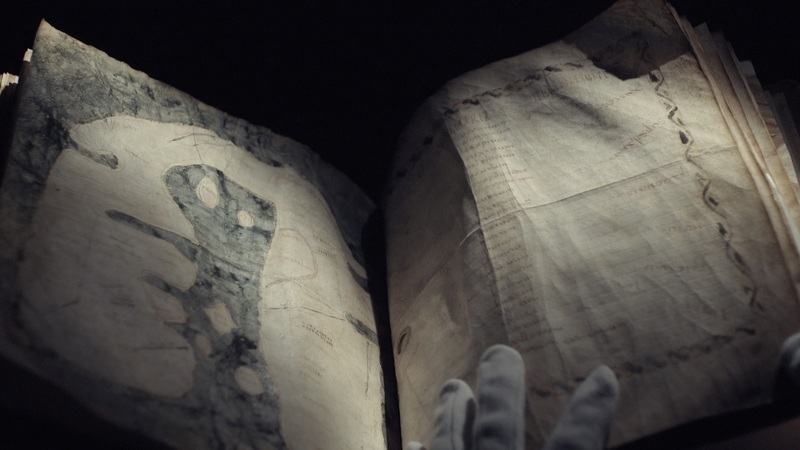 This narrative form creates the possibility of connecting Kain's radical poetic to a larger frame of investigation: museum objects and artworks from very different origins, all stored in Toulouse museums and in collections of the Occitan region. These objects are put in dialogue with stage props and reproductions of art works that surround Kain in his Amsterdam exile since the 1980s. 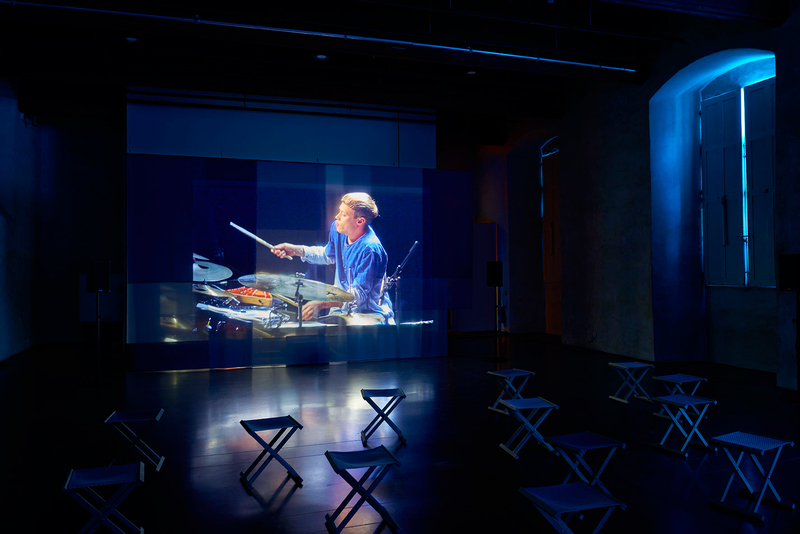 Disrupting the Eurocentric written logic of historiography as well as that of museum classifications, Ultramarine sets a constellation of objects moving and acting, enabling them to perform their possible agency. 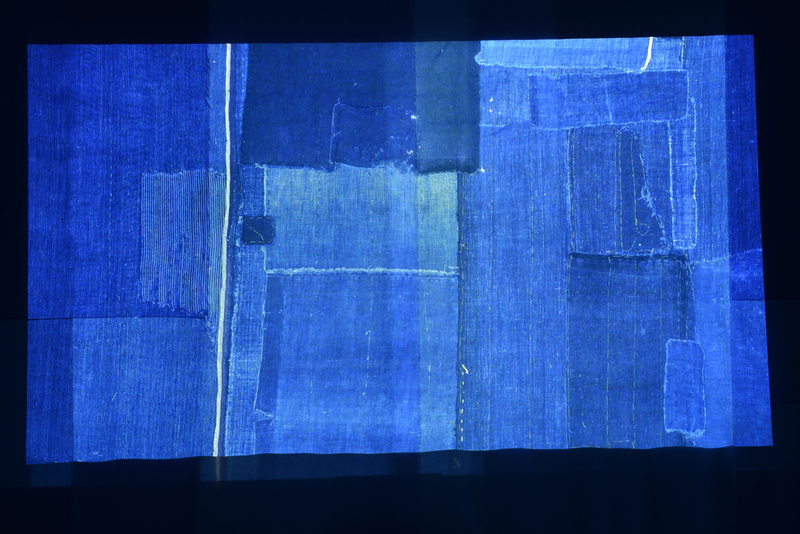 The immersive experience of colour, a living, textured, spectral and polymorphic substance is here rendered inseparable from its political component and from cinema as magical practice. 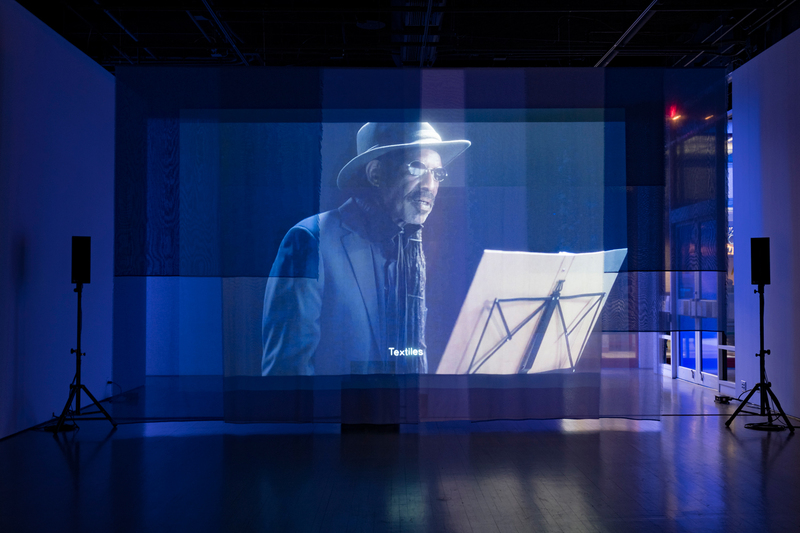 The installation version of the film is the focal point of Blues Klair, a solo show touring Canada, first taking place at the Leonard & Bina Ellen Art Gallery (Concordia University), Montreal, 2018, and later at The Power Plant, Toronto, 2019. Gylan Kain, also known under his stage name, Kain the Poet, is a poet, playwright and actor born in Harlem (NYC) and living in Amsterdam. His spoken word practice, in dialogue with Beat culture as much as the rhetoric of Black Power, is among the precursors to hip-hop. In 1970 Kain released his solo album Blue Guerilla on which he delivers incendiary lyrics over a background of free jazz. Through the Seventies, Kain operated the East Wind Cultural Center in Harlem and wrote for theatre, notably the plays Epitaph to a Coagulated Trinity and The Urination of Gylan Kain. At the beginning of the 1980s, he left the United States for Europe. There he collaborated with percussionist Z’ev and with Electric Barbarians, among others. While long remaining in the shadows, Kain’s performances and phrasing, as well as the radicality of his words have influenced numerous artists, notably Dr. Dre and the band The Prodigy who sampled his voice in their hit Voodoo People. 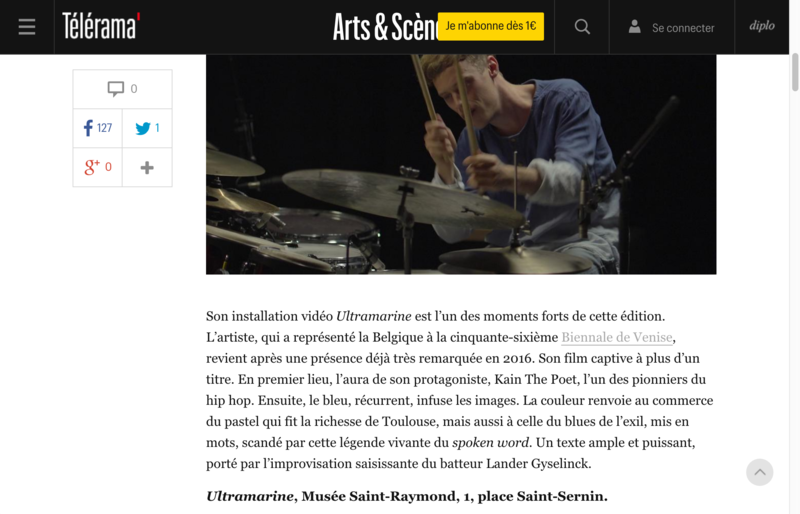 Born in 1987, the Belgian jazz musician and composer, Gyselinck first came to hip-hop before making his mark in the experimental jazz scene. Not only is he a prodigious and inventive drummer, but also a composer with his various projects, including STUFF, a quintet mixing hip-hop, jazz and funk, the duo Beraad- Geslagen, LABtrio and Ragini Trio, Sandy, the New York group Howard Peach, Sinister Sister, as well as his solo project, Known Alone. Gyselinck has received numerous prizes, notably three Music Industry Awards in 2015, 2016, and 2017, the Toots Thielemans Jazz Award (2010) and the Flemish Culture Prize for music (2015). He is a doctoral candidate at the Royal Conservatory and Academy of Fine Arts (KASK) in Ghent, where he also resides. Vincent Meessen was born in Baltimore, USA, in 1971, and lives and works in Brussels, Belgium. 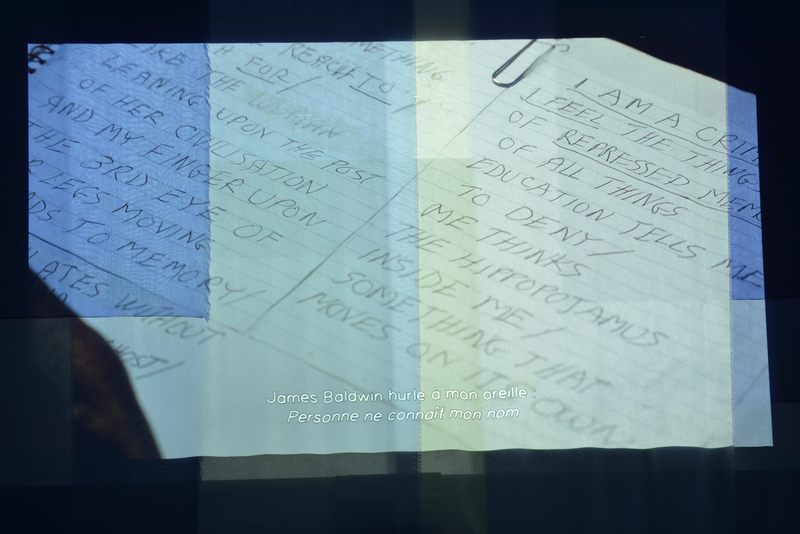 His artistic work is woven from a constellation of actors, gestures, and signs that maintain a polemical and sensible relation to the writing of history and the westernization of imaginaries. He decenters and multiplies gazes and perspectives to explore the variety of ways in which colonial modernity has impacted the fabric of contemporary subjectivities. Both in his work as an artist and in his paracuratorial activities, he likes to use procedures of collaboration that undermine the authority of the author and emphasize the intelligence of collectives. He recently presented solo exhibitions at Ellen Gallery, Concordia University, Montreal (2018-2019), Printemps de Septembre, Toulouse (2018); Centre Pompidou, Musée national d’art moderne, Paris (2018), WIELS, Brussels (2016), MUAC, Mexico (2014). 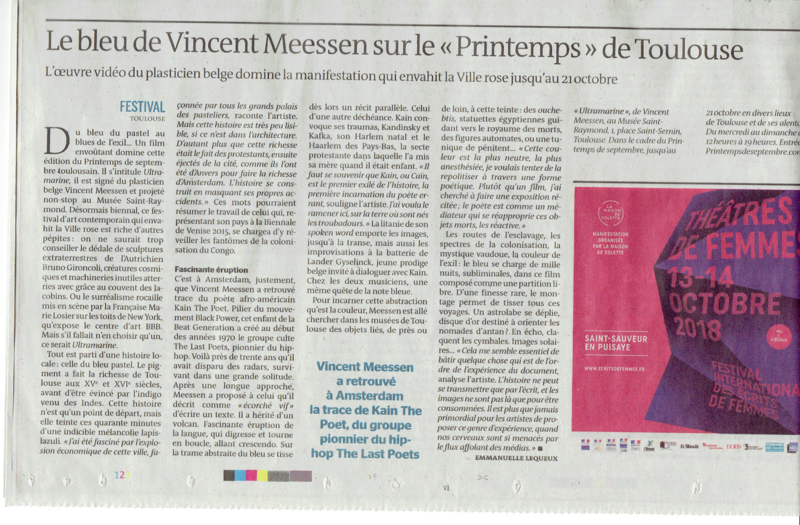 With Personne et les autres, a collective exhibition at the Belgian Pavilion of the 56th Venice Biennale, Vincent Meessen has represented Belgium with ten invited artists from four continents. An evolving duo show with Thela Tendu has toured to BOZAR, Brussels (2017); Kunsthalle Basel (2015) and KIOSK, Ghent (2013). 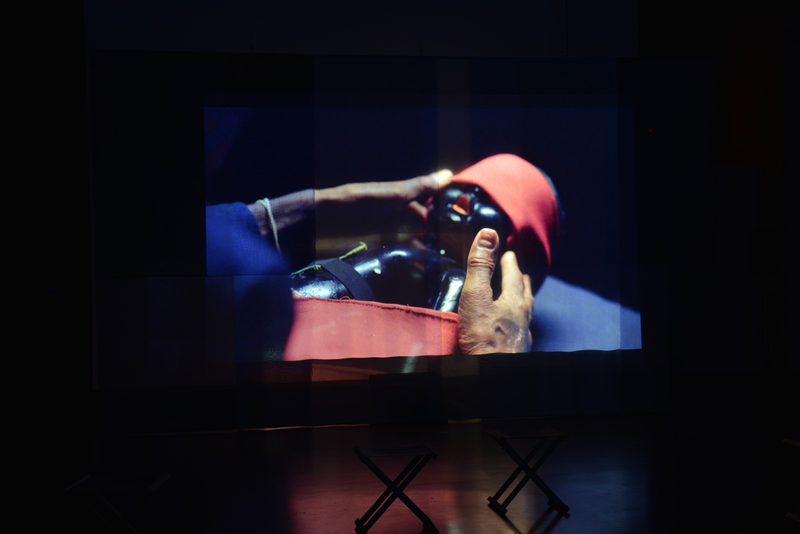 Recent group presentations include Proregress, 12th Shangai Biennale (2018-2019); 50 Years after 50 Years of the Bauhaus 1968, Württembergischer Kunstverein Stuttgart (2018); and Gestures and Archives of the Present, Genealogies of the Future, Taipei Biennale (2016). His films have been screened at numerous museums and art centers including MUMOK (Vienna), Museo Reina Sofia (Madrid), Lincoln Center (NYC) and in film festivals including IFFR (Rotterdam), IDFA (Amsterdam), Oberhausen International Short Film Festival and FESPACO (Ouagadougou). 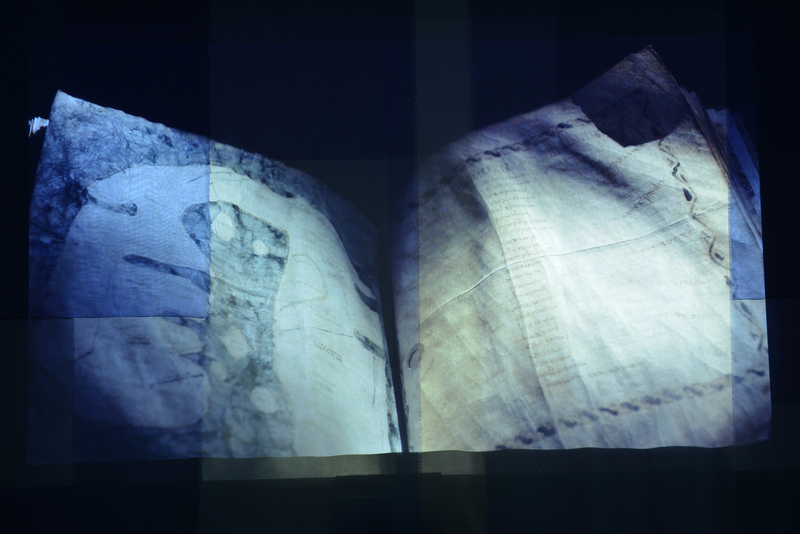 Vincent Meessen is a member of Jubilee-platform for research and artistic production. 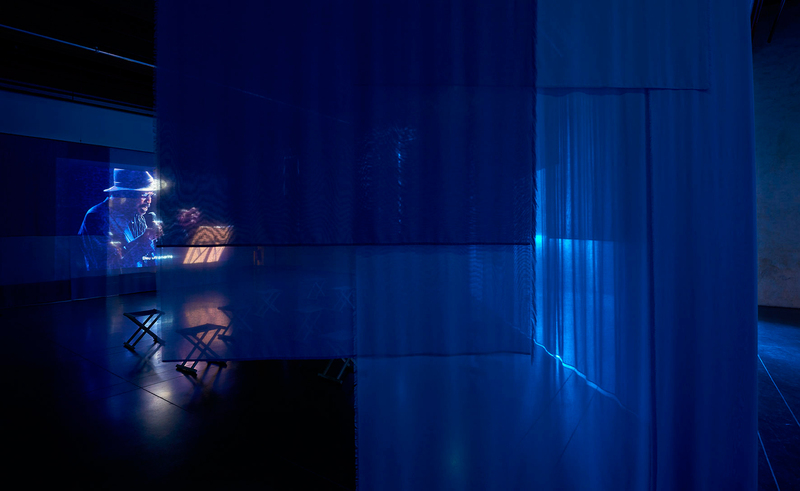 Like the shifting layers of blue in the film's 35 mm cinematic image, as well as the surround soundscape, the exhibition display – a modular textile display designed in collaboration with textile designer Diane Steverlynck and scenographer Emilie Lecouturier – offers an immersive experience to the visitor.